 Stokes Lazarus and Carmichael is a highly respected law firm in the United States. It is located in Atlanta, Georgia and has been in the law business for 40 years. Stokes Lazarus and Carmichael provide litigation services to clients such as corporations, professionals, and executives. It represents cases in areas of securities, insurance, bank loans, creditors, license violations, franchise litigation, and employment litigation. Attorneys at Stokes Lazarus and Carmichael have been recognized as the state's most effective lawyers by Georgia Trend Magazine. They are widely respected on an international level for their outstanding legal services. The specialized teams of lawyers and attorneys at Stokes Lazarus and Carmichael have built a reputation for its quality services over the years. Current partners at this firm include William K. Carmichael, Michael J. Ernst, Richard J. Joseph, Wayne H. Lazarus, and Marion B. Stokes. They follow an adaptable and agile approach towards handling client cases. The firm provides each of its clients with excellent quality services and expertise knowledge. Stokes Lazarus and Carmichael have a strong relationship with all its clients and maintain a trusting relationship. Cases are dealt with strategic skill and are given personal attention to ensure the best outcome. Stokes Lazarus and Carmichael represent clients from organizations, corporations, and other sectors. Many pro bono cases are also taken up by Stokes Lazarus and Carmichael. On the whole, the firm has contributed to the society and helped many people who could not afford to take their cases to court by providing them with legal services. Through volunteer work, Stokes Lazarus and Carmichael has strengthened its reputation as an active member of Georgia’s development community. Its quality services and team of attorneys has made it a highly recommended firm.